Bulk carriers come in all sizes, from the smallest ships of only a few hundred tons deadweight to the largest of over 360,000 tons, 340 metres or more in length, 63 metres in beam and with draughts of 23 metres. Many of the problems relating to hold preparation are common to all bulk carriers. Mini Bulk Carrier (100 - 130m length , less than 10m draft & 3000 ~ 23,999 DWT) Employed in coastal trade, serving as feeder vessels to large ships. Their main trade consists of short sea voyages, carrying limited quantities of bulk cargoes generally to smaller ports without restriction on size of vessels. 'Handysize' are the medium bulk carriers of between 24000 ~ 35000 DWT ( 130 - 150 m length & 10m draft ). They can carry cargoes to a large number of ports, may carry considerable variety and quantity of bulk cargoes. 'Handymax' bulk carriers of between 35,000 and 50,000 tonnes deadweight. ( 150 - 200 m length & 11 ~ 12 m draft ).These bulkers are well suited for small ports with length and draught restrictions, or ports lacking transshipment infrastructure.Primarily used for carrying dry cargo such as iron ore, coal, cement, finished steel, fertilizer, and grains etc. One very important size is the "Supramax " - a type which became more and more popular since 2001. These vessels are ranging between 50,000dwat and 61,000dwat (designers working on even larger vessels up to 63,000dwat ), have usually five cargo holds and deck cranes with a lifting capacity between 25mt and 40mt with most vessels being fitted with own grabs. A fairly big number are constructed as double hull vessels. Most of the bulk carriers being delivered recently are of a double hull constructions and many of the sizes up to Supramax are so called "open hatch" or "semi open hatch" types which means they have a wide hatch opening with very narrow deck between hatch coaming and ship's side. Supramax vessels are very popular among dry cargo shippers due to their larger cargo carrying capacities and on-board cargo handling flexibility. Their favorable size allows them to trade in a much wider range of world ports and terminals. 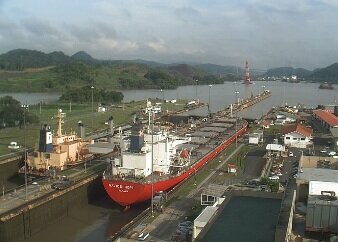 The term 'Panamax' ( length 200-230 m , draft 13 ~ 15 m ) refers to design size limitations imposed by the Panama Canal locks and adopted by the international shipping community: beam must not exceed 106 feet (32.2 m), fully loaded vessels must not exceed 80,000 tons deadweight. Generally carry grain, coal and iron ore from US ports. 'Capesize' bulk carriers ( length 230 ~ 270 m , draft 17 m ) of 80,000 to 199,000 tonnes deadweight which are too large for the Panama Canal and trade from the Atlantic around the Cape of Good Hope. Only a few ports in the world can accommodate them in fully loaded condition. 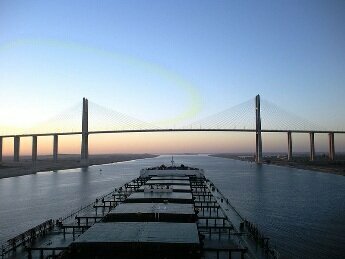 Suezmax means the largest vessel that can pass through the Suez canal. The maximum allowed draught of the Suez canal is currently 18.90 m (62 feet). However, the authorities intend to increase this draught to 21.95 m by the end of 2017. Very Large Bulk Carrier (VLBC) ( 270m and more 20m draft or more & 180,000 DWT and more ) : Very specialised, mainly purpose-built for specific trades. Seawaymax ( 226 m max. 7.92 m draft 28,502 DWT max. ) : Largest vessel that can pass through the canal locks of the St Lawrence Seaway. Malaccamax ( 330 m approx. 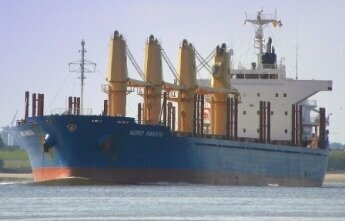 20 m draft 300,000 DWT ) : Largest vessel that can pass through the Straits of Malacca. Setouchmax ( 299.9 m. (max) 16.1m draft 205,000 DWT ) : Maximum size allowed for ports in the Setouch Sea in Japan only. Dunkirkmax ( 289 m. max. 175,000 DWT (approx) : Maximum allowable beam = 45 m for eastern harbour lock in Dunkirk, France. Kamsarmax ( 229 m. (max) 82,000 DWT (approx) ) Maximum size allowed for port Kamsar in Equatorial Guinea. 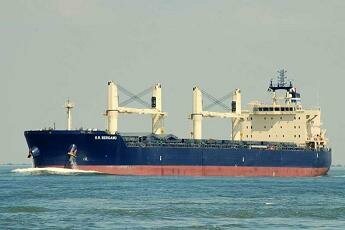 Newcastlemax ( Usually Capesize ) 185,000 DWT (approx) Maximum allowable beam = 47 m for port of Newcastle in Australia.